Why would a fisher care about the forest? The person to ask is Shigeatsu Hatakeyama, an oyster farmer from Kesennuma in Japan’s Miyagi Prefecture. We can learn a great deal from Hatakeyama. He is one of those rare types of people who can see beyond the day-to-day preoccupation of how to make a living — in his case, with an oyster farm — and instead embrace the world around them. For the past three decades he has been concerned about the water quality in his local bay, in the rivers that feed it and in the forests and mountains that feed those rivers. He reached the conclusion long ago that a fisher needs to care for the forest in order to have a clean and healthy sea. In his writings (he began authoring books in 1994), Hatakeyama poetically describes the forests and the sea as lovers — mori wa umi no koibito in Japanese. This expression has made him quite famous and his environmentalist insights are often sought after throughout Japan and in academic and policy circles. He has become a visionary leader, an educationalist and a successful entrepreneur. Hatakeyama describes the forests and the sea as lovers (mori wa umi no koibito) and his insight and experience are sought after throughout Japan and in academic and policy circles. His journey to this point began back in the late 1980s with a rather unpleasant discovery. People were complaining about his oysters, saying they were inedible. He realised that the problem was caused by red tide — an algae outbreak triggered by polluted wastewater seeping into the local Okawa River. And so began his efforts to clean the upstream areas of the Okawa River with a focus on tree-planting. He tells his story in the book entitled Ryoushi-san no mori tsukuri (Forestry by a fisher), published in 2000. You may recall that natural history is the study of the environment that is based more on observations, rather than experiments. It is the type of research that you are more likely to see in a magazine than, say, an academic journal. This to some extent explains the broad appeal of Hatakeyama’s writings. As an oyster farmer, he is outside in nature all year round. He has a keen eye for, and genuine interest in, the interconnections in the natural world. His invitation to artist Kanayo Sugiyama to do the drawings for the book may have been an unspoken acknowledgement of the natural history tradition. It also reflected his desire to reach out to younger audiences with his environmental message, as Sugiyama is an established children’s story-book illustrator. Many of us may struggle when asked the question — what is your life’s work? What is fundamentally important to you? What really matters? Hatakeyama’s greatness is that the answer to this question is so clear for all to see. He is an oyster farmer who cares about the forest. However, he did not just wake up one day and decide to be this way. Instead he acknowledges that he has been influenced by many people, both in Japan and overseas. He is standing on the shoulders of other great people. Just as those who follow and learn from him will one day stand on his shoulders to reach even further. One particularly influential experience for Hatakeyama was a 1984 trip to France to see how oyster farming was undertaken there. He travelled from the west coast up the Loire River where he witnessed how the upstream broadleaf forests acted as rainwater filters and provided important nutrients that were carried in the river water down to the ocean. He drew upon that knowledge to deal with the red-tide pollution back home in Japan along the Okawa river — realizing that replanting forests upstream would have a beneficial impact on the water quality of his bay and the quality of the meat in his oysters. He understood the importance of seeing the ecosystems in a holistic manner. However, his method for using this knowledge was rather unusual. He went upstream and humbly thanked the farmers and foresters for taking such good care of the environment, as relayed in the video brief with this article. Working together with them, it was possible to sustainably manage the local forests and the sea. To maintain and take this work forward he set up a non-profit organization in 2009 called Mori wa umi no koibito with the goal of promoting this approach elsewhere. He lost everything. The estimated value of his business had been around ¥200 million (US$2.5 million). Such a loss would lead many people to give up. But not Hatakeyama. 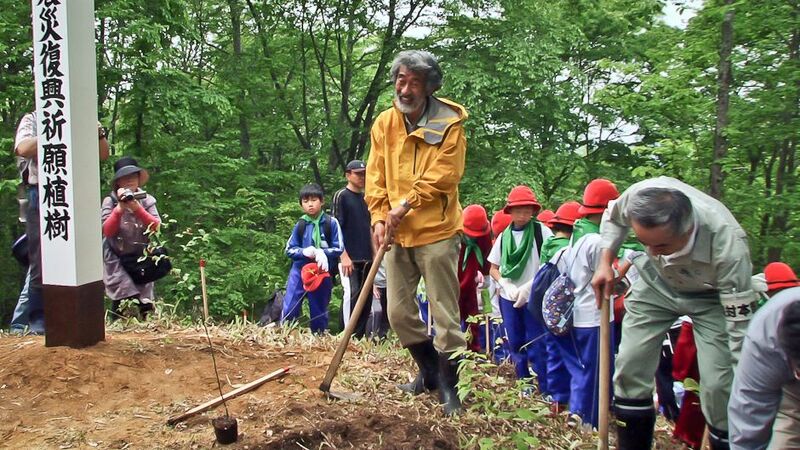 Within weeks of the tsunami, he participated in an annual tree planting ceremony in nearby Murone, Ichinoseki City. At the ceremony he apologised for not being able to bring any marine products to share with the upstream foresters and farmers. He also outlined his positive vision for the future of the Tohoku region, arguing that local trees could be used in the reconstruction of the houses destroyed by the tsunami. This would have the advantage of helping to foster the sustainable use of Japan’s forests, which are currently under-utilized and unmanaged in some parts, and provide a substitute for Japan’s importation of unsustainably harvested tropical forest timber from southeast Asia, for example. Hatakeyama’s story is inspirational. He shows us that our connection to nature is vitally important and that we should all take care not to lose it. He also exemplifies the notion of resilience in the way that, even after such a setback as the tsunami, he has been quick to begin re-building. But, above all, he shows how the Tohoku region would be best served by tapping into the rich wisdom and wonderful traditions that reside in the region about the value of conserving biodiversity and the environment. Hatakeyama shows us that our connection to nature is vitally important and that we should all take care not to lose it. He also exemplifies the notion of resilience in the way that, even after such a setback as the tsunami, rebuilding started quickly. It is through satoyama (sustainable management of the rural land use) and satoumi (management of the coastal areas) that much of the traditional knowledge about how to maintain biodiversity in an agricultural and marine context has been passed down through generations. One concern regarding the re-building efforts is that the connections to the marine environment could be weakened if the fishers are forced to live some distance from the ocean. Further, the rich agricultural areas damaged by the tsunami need to be reconstructed. With regards to these particular rebuilding efforts, the temptation to re-build in the form of agglomerations of fishing communities or large farm holdings should be resisted where such developments undermine the rich ecosystems and the strong human-nature connections. From Mountain to Sea: a Vision for the Rebuilding of Tohoku by Anne McDonald is licensed under a Creative Commons Attribution-NonCommercial-ShareAlike 3.0 Unported License. 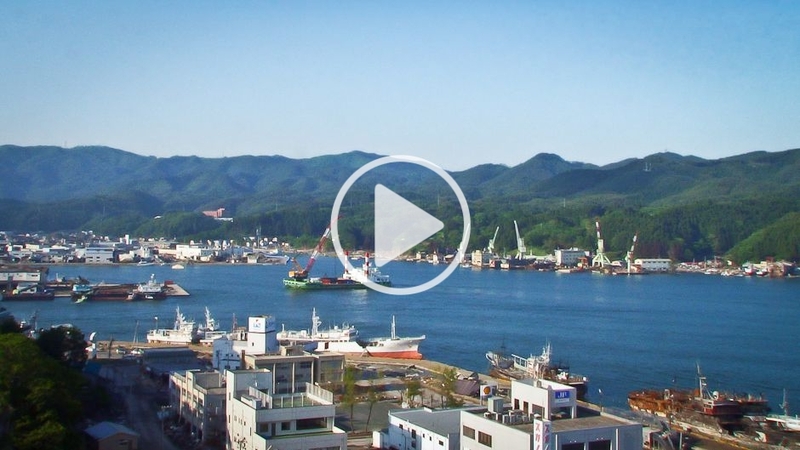 Rebuilding after the Tsunami: Eco- or Transition Towns?